If you live in Central Alabama, you’re already aware that the astronomical temps in July and August can often be oppressive. If you’re planning a visit, it’s knowledge you need to take seriously (and that many tourism boards fail the mention), especially if you’re interested in outdoor activities. But while the heat can be relentless when the sun’s beating down on you, one way to lessen the burn is to stay in the shade. Check out these heat-beating hiking trails that offer an escape into deep forests and woodsy wonderlands. 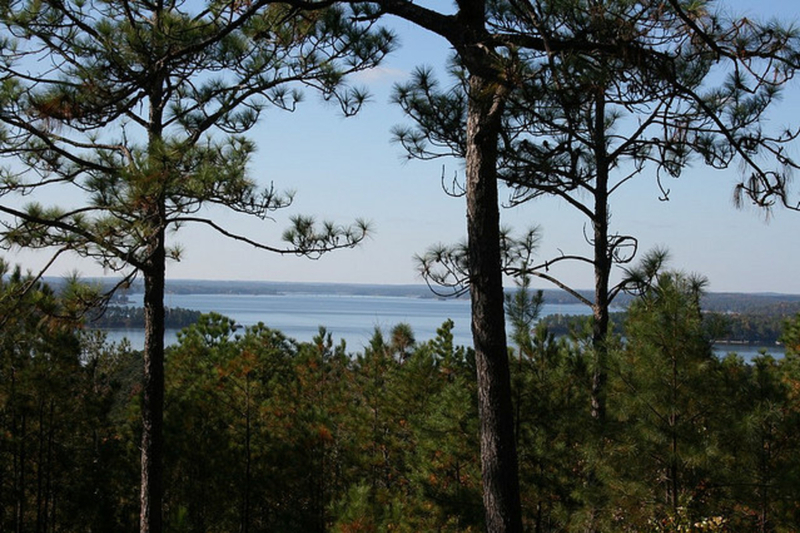 Designated for hikers only, this trail system runs through the Tallapoosa River Valley along the shores of the 40,000-acre Lake Martin. 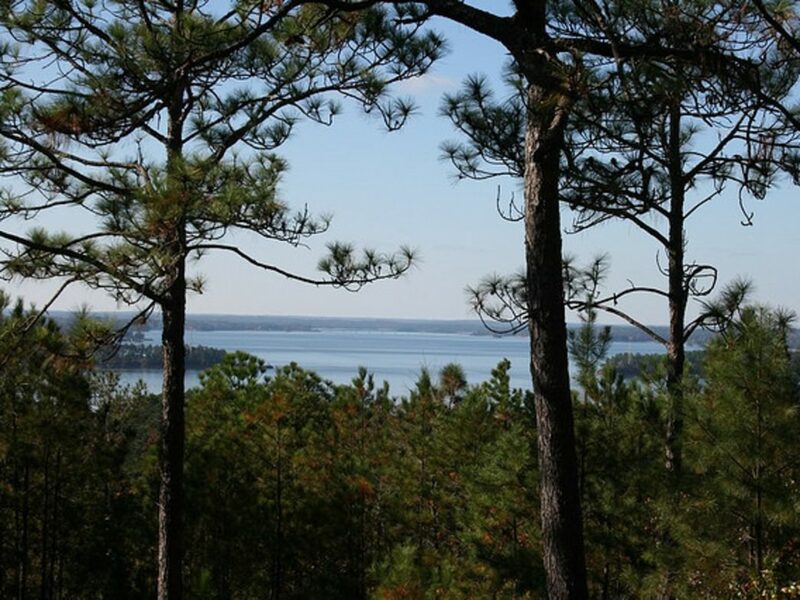 With options to hike as little as 1 and as long as 11 miles of looping trails through diverse terrain on the banks of the lake, up to rocky bluffs, past clear-flowing creeks all under the shadows of big leaf magnolia, dogwood, and pine trees, it is easily one of the state’s most scenic hikes. 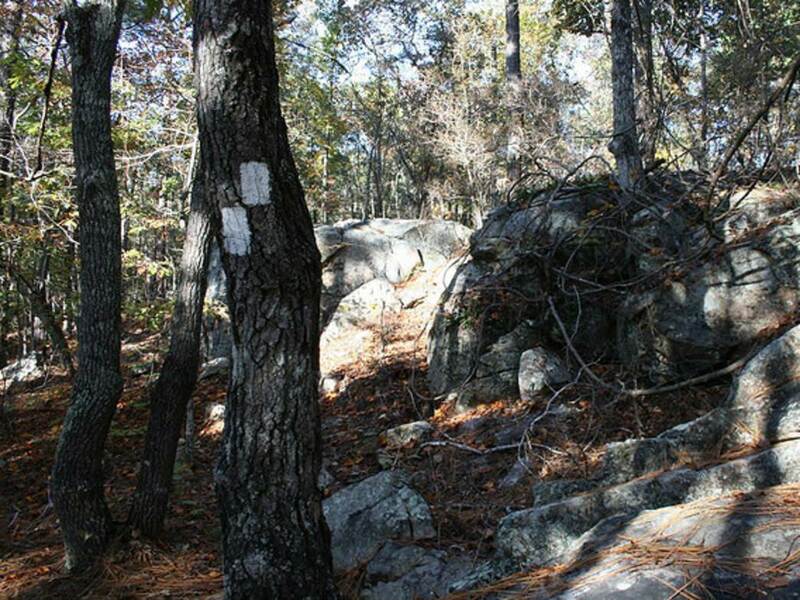 Maintained by the non-profit Cherokee Ridge Alpine Trail Association (CRATA), all of its trails are well groomed and plainly marked with maps. In Wetumpka, this system of 12 miles of trails is covered in leafy canopy, and hikers and bikers here often feel the cooling effect of breezes blowing off nearby Lake Jordan. The well maintained paths are hilly and twisty, but you can choose to do smaller sections; trail maps available on the website make it easy to do 1-, 2.5, and 7-mile sections instead of the full 12. The trails are managed by the non-profit Trail of Legends Association , which has made its goal to double the system’s current size. Spanish moss dripping from cypress trees is one of the dominant and hauntingly beautiful features of this 600-acre preserve near Marion. Four lakes surrounded by old growth hardwood forest were formed more than a century ago when the Cahaba River’s channel changed. 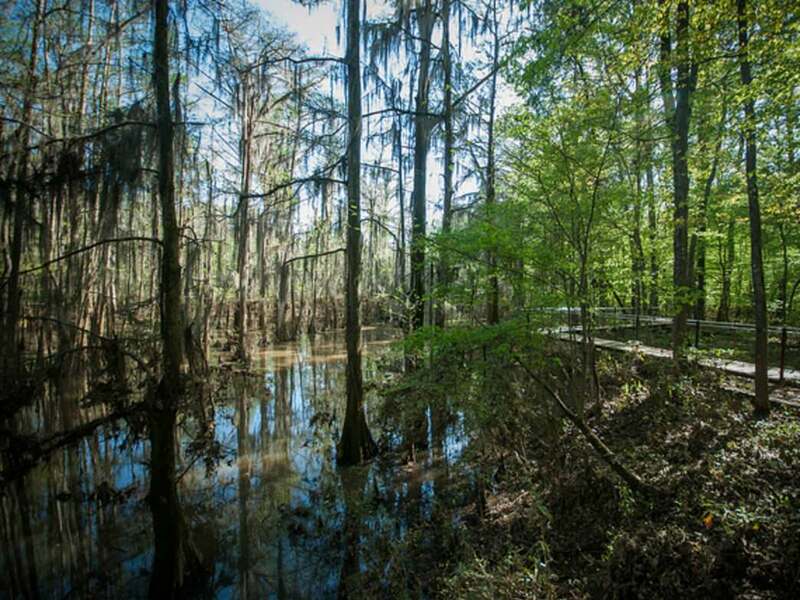 Approximately 7 miles of interpretive trails (including both clear, open paths and more primitive, slightly overgrown paths), lead you through a natural river bottomland and around the lakes. Auburn University’s Rural Studio, a program of its architecture school, has added some amazing structures to the Park, including restrooms, a pavilion, and a bird-watching tower, all built using recycled and repurposed materials. This out-and-back hike in the Cahaba River Wildlife Management Area near Montevallo is a 1.8 mile round trip once you reach the trail, and the walk from parking to the trailhead is actually not shaded, but you’ll be justly rewarded for the minimal effort and a little sweat. At the end of your journey, a glittering 90-foot cascade awaits. The tumbling water throws off a cooling mist, and the cave behind it beckons you inside to explore. A word of warning, though: There have been accidents here, and this adventure is not recommend for small children. When you reach the trailhead at the top of the falls, carefully watch your step and stay away from the edge. The rocks are slick and one mistake could lead to a fatal plunge. (You can get a good look at the waterfall from the bottom; there’s no need to risk your life peering over the top.) Keep your caution level high while making your descent on the trail to reach the bottom of the falls too. 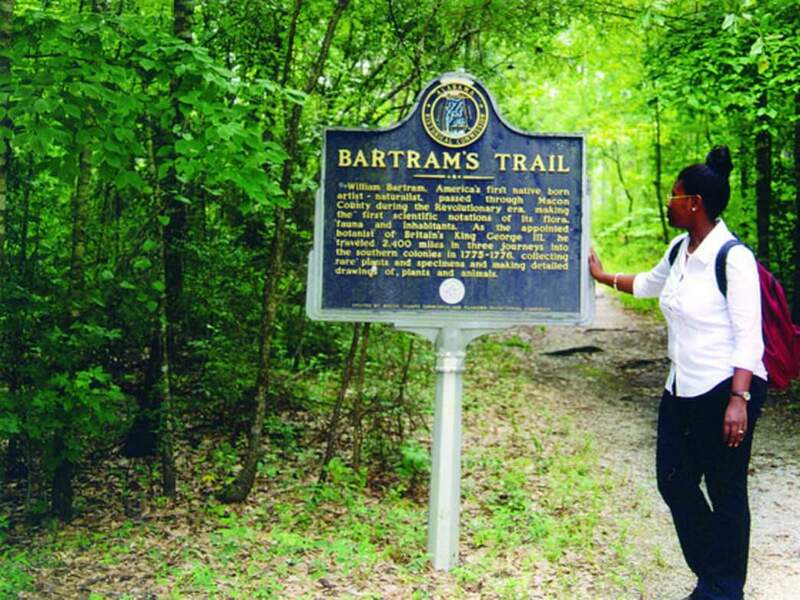 The first National Recreation Trail designated in Alabama, the Bartram Trail near Tuskegee provides a long, but moderate, walk through the Tuskegee National Forest, at 15 miles out and back. It is divided into two distinct sections, so you can choose to do only half. The east section is mostly small hills through pines, but there are no steep inclines, while the west section is mostly flat throughout and weaves through dense woodlands of birch as well as some thick stands of magnolias and over marshland (on boardwalks) punctuated with wildflowers. Take your time to look for wildlife and feel free to give your feet a break with a pit stop at one of the benches along the trail. Each has a quote from the trail’s namesake, famous botanist William Bartram.